Categories: Backup & Recovery, Mac OS, Mobile Utilities. Tag: Wondershare. Recover deleted messages, photos, contacts, videos and more from your iPhone, iPad, or iPod touch. Whether you accidentally deleted files or corrupted your OS with a software update, Dr. Fone for iOS can restore your most important data. 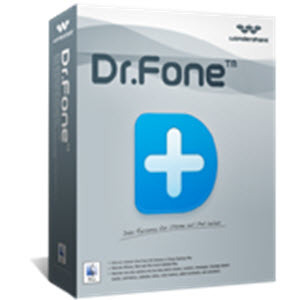 Dr.Fone is the most comprehensive data recovery solution in the market. You can recover lost data directly from iOS devices or retrieve backups from iTunes and iCloud. In just a few clicks, what was lost is suddenly found. With this iPhone data recovery for Mac, you can easily recover lost or deleted photos, text, app data and up to 17 different types of files from your iTunes backup, or from your online iCloud account. 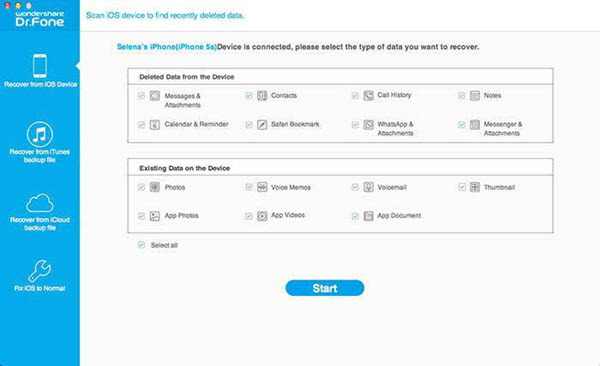 Dr.Fone’s comprehensive scan can find a lot of recoverable data. You can browse and select the data you need before clicking the recover button. When your iPhone, iPad or iPod touch stuck in Recovery Mode, stuck on Apple logo, or perform abnormally, you can use Dr.Fone’s outstanding Repair Operating System feature to have it fixed with less than 10 minutes.